With hundreds of waffle joints in the city, I recently came across WAFL at Brigade Road that serves mind-blowing savoury waffles. 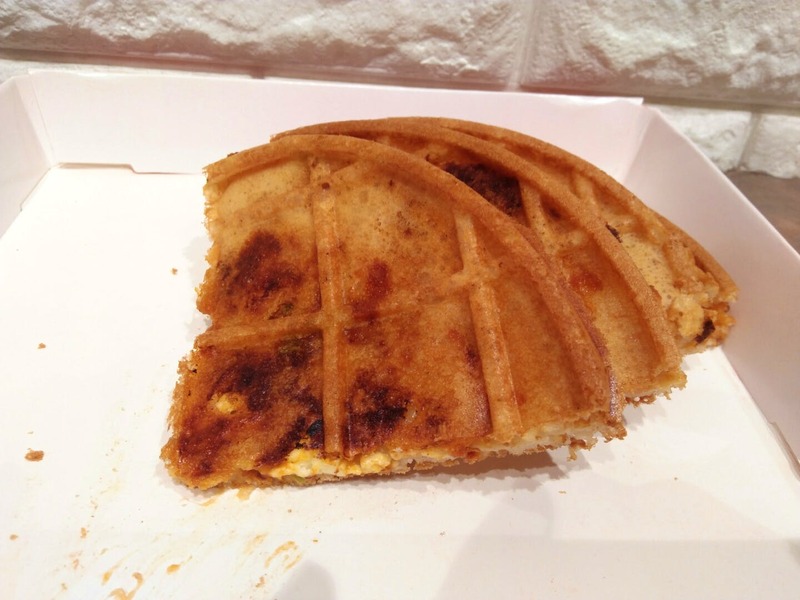 These waffles are available as pizza pies, sandwiches, all-day breakfast, and even corn dogs. I tried different variants and totally loved them all. The stuffing varied from potato and cottage cheese in veg to chicken and sausages to eggs in non-vegetarian ones. My favourite has to be the peppy paneer waffle pizza pie with extra cheese oozing out of it. Apart from savoury waffles, they also serve the regular sweet variant as bubble wrap waffles. The place is a must-try for some unique dishes. You can order these treats via Swiggy as well.